With a tasty coffee in a beautiful mug, even a simple day can turn into something special! 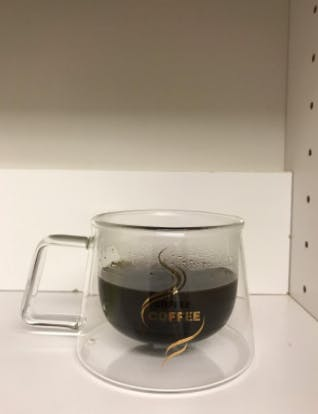 This clear glass coffee cup is made of lead-free borosilicate glass that stands out for its durability. 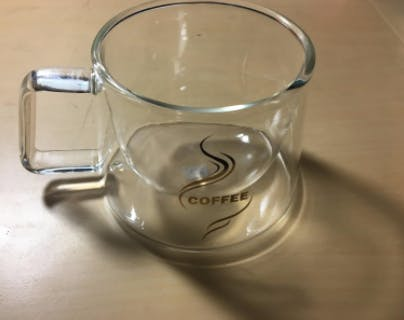 This little cup fits perfectly in your hand for your daily cappuccino, latte, espresso, etc. Enjoy! Lovely light coffee mug that do as described. I bought this mug as a gift and my wife loved this very much. She said she was happy drinking with a so nice looking mug. And double wall design keeps coffee hot. What a great addition as a coffee cup. I love this coffee mug. It is soooooo pretty!! I put it in my cubicle and all of my colleague ask me where did I get this from. Good quality and easy to wash. Again, prettttttty!!! Love it. These coffee cups are beautiful and seem delicate but are not and a perfect size for a good cup a coffee . I bought two of these beautiful cups and would like at least a set of six. These would also be a great gift for coffee lovers ❤️.